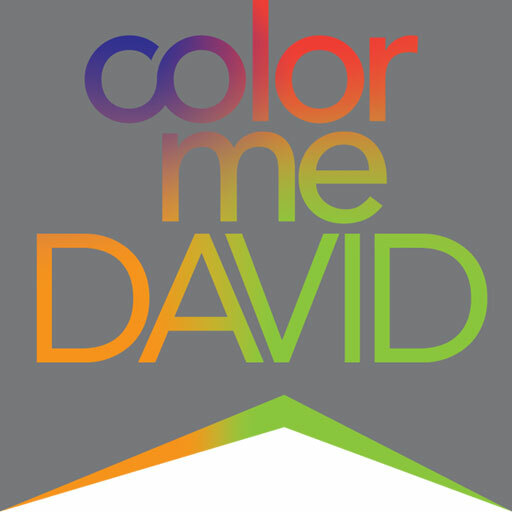 ColorMeDavid Design's portfolio for David Chiang, a graphic designer from Sacramento, CA. 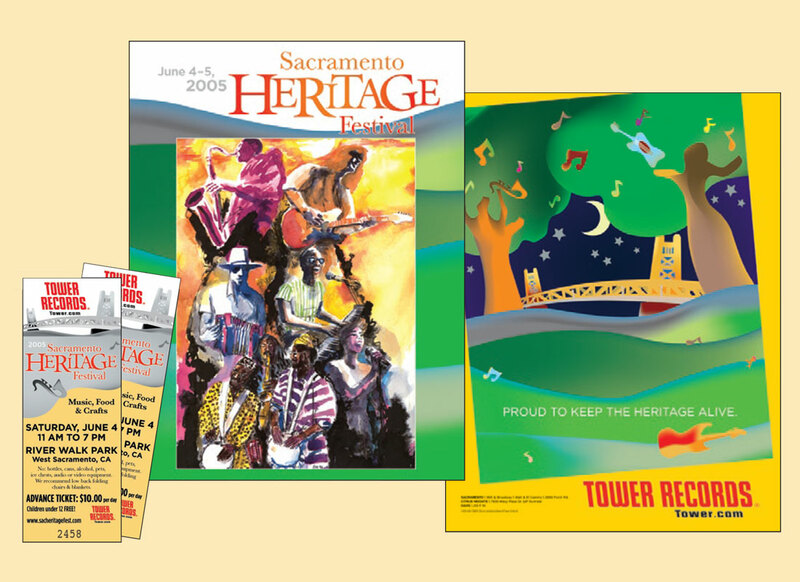 Sacramento Heritage Festival is an annual music festival in Sacramento, California – and typically a Tower Records co-sponsored event. 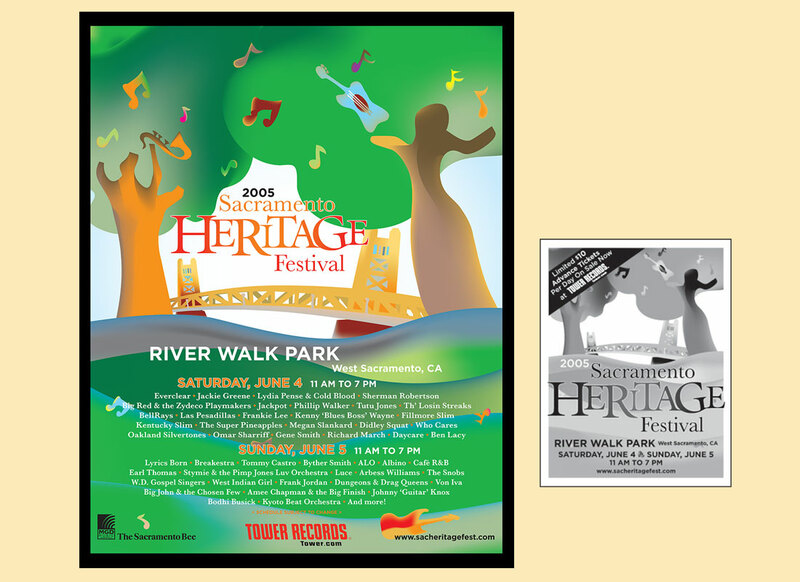 My design work started with the poster illustration, and included pieces like flyer, event tickets and event program cover.